Shellac (Three shows at 9PM Friday (21+), Saturday (18+), and Sunday (18+) at Lincoln Hall. Each show is $16) - Scrawl and Dead Rider open Friday. Shannon Wright and Pinebender open Saturday. Nina Nastasia and Tar open Sunday. 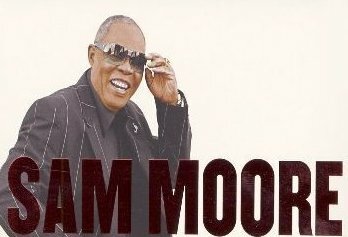 Sam Moore (Two shows at 8PM Friday and Saturday at City Winery. $45-85, All Ages) - East of Edens Soul Express also performs. Archers of Loaf (9:30PM Friday at Bottom Lounge. $22, 17+) - Metz opens. Gotye (7:30PM Friday at Charter One Pavilion at Northerly Island. $47, All Ages) - Missy Higgins and Jonti open. Jello Biafra and the Guantanamo School of Medicine (7PM Friday at Reggie's Rock Club. $15, 17+) - Against the Grain, Vortis and Last False Hope open. Jessica Lee Mayfield, AM Taxi and more (11:30AM to 10PM Saturday at 14th and Wabash in the city's South Loop neighborhood. $5 suggested donation, All Ages) - Part of the "Bash on Wabash" street festival. Murder By Death (9PM Saturday at Metro. $17, 18+) - Cory Chisel & The Wandering Sons and Ha Ha Tonka open. JD McPherson, Flatfoot 56 and more (11:30AM to 10PM Sunday at 14th and Wabash in the city's South Loop neighborhood. $5 suggested donation, All Ages) - Part of the "Bash on Wabash" street festival. Linkin Park and Incubus (6:30PM Friday at First Midwest Bank Amphitheatre in Tinley Park. $47-119) - MuteMath opens. Los Lonely Boys (6-11PM Friday at New Century Park in Vernon Hills. $5, All Ages) - Part of "Little Bear Rib Fest"
Warrant (8:30PM Friday at Viper Alley in Lincolnshire. $25-30, 21+) - VIP tickets and meet and greet passes are also available. The Fixx, The Handcuffs and more (11AM-10PM Saturday at Oakton St. and Lincoln Ave. in Skokie. All Ages, FREE) - Part of Skokie's "Backlot Bash" street festival. Enuff Z'Nuff (2PM Saturday at Chet's Melody Lounge in Justice. $12) - Chris Medina, Payleface, V1C3, The Kevin Mitchell Band, Half the Battle and Lian Paranoia also perform. Local H, The Steepwater Band and more (Noon-8PM Sunday at Oakton St. and Lincoln Ave. in Skokie. All Ages, FREE) - Part of Skokie's "Backlot Bash" street festival.